- The purpose of the scholarship 2016 is to support and provided educational opportunities for deserving and outstanding young Malaysians. - To provide graduate-employability and serve as a talent supply chain for developing young leaders for the Group. - Full tuition fees and living expenses for successful applicants amounting to RM15K per academic year or RM60k for all degree courses. - The Scholarship is only applicable to Bachelor's degree courses and does not apply for Master's degree course. - Systematic Young Leaders Programme will be provided. - To serve a 3-year bond with the Company upon graduation. - Must achieve and maintain a minimum CGPA of 3.33 per academic year during scholarship programme. - Malaysian citizen aged 23 years and below. - 1st year students in 1st semester are encouraged to apply. *Currently 1st, 2nd or 3rd year university students minimum CGPA 3.33. - Applicants with outstanding extra-curricular record will have added advantage. - Family (parents or guardians) household income not exceeding RM5, 000 per month. - Currently not a recipient of any scholarship loan and financial aid from any other organization. - All scholarship applications forms and supporting documents must be submitted via POS Malaysia/ courier on or before 31st August, 2016. Applicants are to be completed with the following required information. Incomplete application will be rejected. - Educational certificates ( SPM, STPM/ A-Level and /or Diploma certificates. 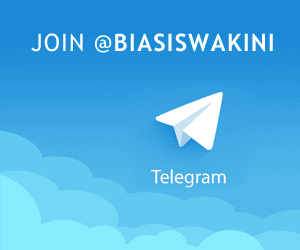 - Applicants' co-curricular/extra-curricular activities, achievement and certificate. - Parent's/ Guardian's Income tax J-Form/ Payslip / Pension Card / Parent(s) Death Certificate. - Only shortlisted applicants will be notified via Telephone for an interview hence, please ensure your telephone number is accurate and contactable. 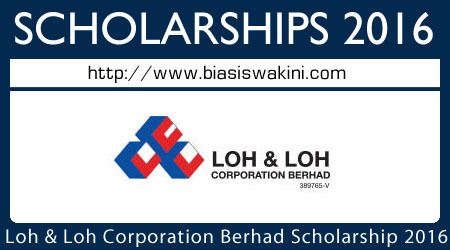 0 Komentar untuk "Loh and Loh Corporation Berhad Scholarship 2016"